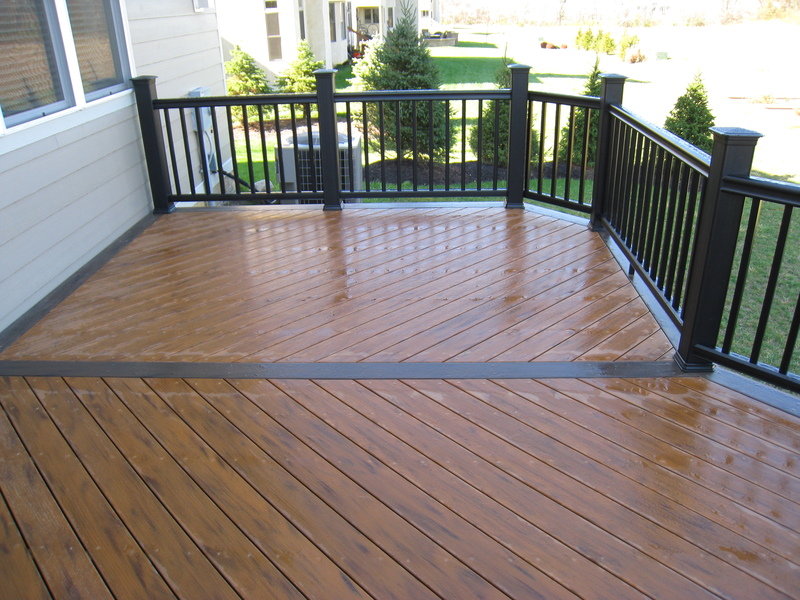 What’s the difference between composite decks and synthetic decks in Columbus? Archadeck of Columbus explains the difference in composite and synthetic decking materials. 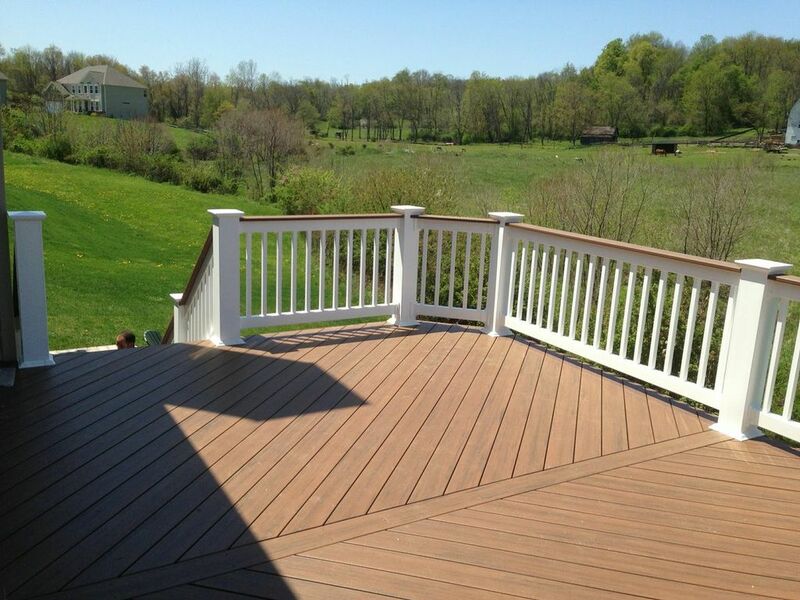 This Granville, OH deck was built using TimberTech Earthwood Evolutions which is a capped PVC product – beautiful. The scope of outdoor structure materials has broadened in recent years to reflect a constant evolution of new technology. These products are built with longevity, convenience and beauty in mind. You may have heard the terms “composite” and “synthetic” used when referring to these materials. Many homeowners think these products are one and the same which is not the case. Composites and synthetics do include some of the same characteristics and benefits but are actually quite different. Archadeck of Columbus is here to explain the differences in our quest to help homeowner better understand each product and place a face with the name. What is the difference between composite and synthetic? Composite is a general term for the original form of low-maintenance decking. Some builders also use the technical term when referring to composites- which is wood plastic composites, or WPC. Composites came onto the scene in the late 1980’s and early 1990’s. Composites are made up of wood pulp that is combined with plastic which is often derived from recycled plastic. This combination of wood pulp and plastic is used to create this low-maintenance decking material. The wood plastic composite is a great product but is one that we rarely sell anymore. Even though WPC’s don’t require staining or painting, they do need to be kept clean in order to be keep them looking and functioning their best. A good comparison of what can happen to a wood composite deck is to look at what an ignored leaf can do to a concrete driveway if it is not removed promptly. This is the same thing that can happen with your WPC deck if it is not kept clean. Since we are dealing with products that are outside in the elements on a daily basis, composite needs to be checked for any debris or dirt on a regular basis. WPC is still a great product to use on or in your outdoor structure design, but the growing trend is leaning toward more homeowners choosing synthetic over composite nowadays. 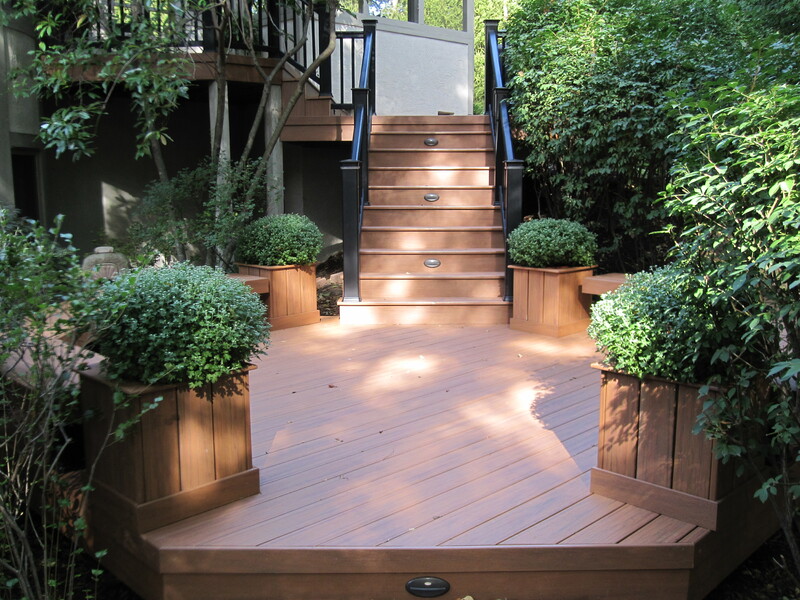 This deck was built with AZEK in brownstone from their harvest color collection. 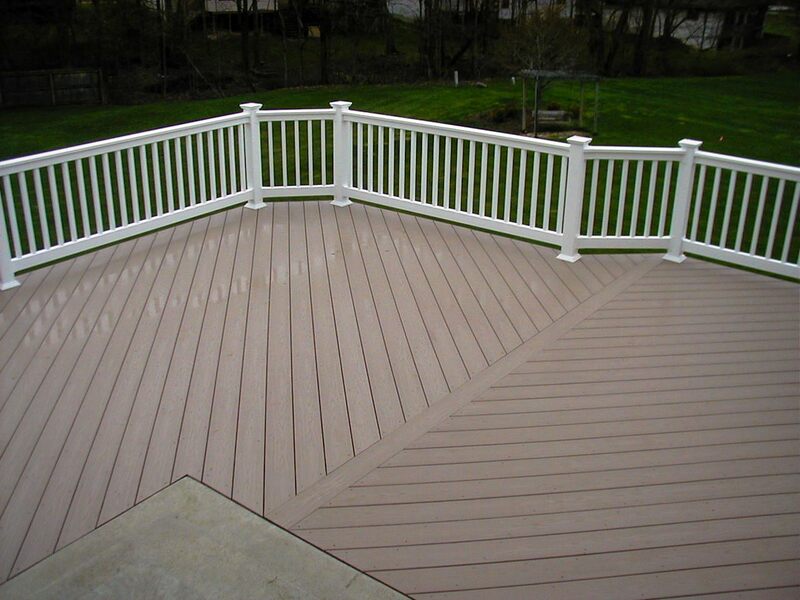 Synthetic decking materials encompass products that contain PVC. This can be a product that is built using solid PVC or capped (wrapped) with PVC. PVC or (poly vinyl chloride) is a product that is free of any wood. These decking products, known as the second generation of decking materials, came onto the scene about a decade ago. Pro-cell was the original PVC manufactures which was later purchased by AZEK ,which specialized in PVC trim used around homes. PVC products deliver the ultimate in low maintenance characteristics, but are generally at the higher end price point. Cost for synthetics can vary depending on the color, pattern and amount of streaking and undulation present. In general, the formulation of synthetic is very expensive and especially the synthetics that contain emulated natural wood details. Among the leader in solid PVC decking is of course, AZEK, but Fiberon and many other manufacturers are offering solid PVC along with their capstock and WPC lines. One of the newest synthetics is a composite wrapped in PVC. This product is often referred to as capstock decking. The advantages of both solid PVC and wrapped PVC products include reducing the amount of maintenance required by the homeowner, and more specifically a decrease in the amount of cleaning required to keep the deck looking new. Capped composites, or capstock include Trex Transcends and TimberTech Earthwood Evolutions. Most synthetic manufacturers stand behind their product with a 25 year warranty. Based on Archadeck of Columbus’ experience with these synthetic products, my belief is that many of these products will outlast their warranties by many years. The only downfall we have seen with PVC products is due to the elasticity of the material it will sometimes expand during the hotter days of the summer. This TimberTech deck and outdoor fireplace by Archadeck of Columbus is the perfect spot for entertaining. In terms of price, composites are the least expensive and generally speaking a capped composite will be less expensive than a pure PVC product. TimberTech Twin Finish and Reliaboard are among some of the wood plastic composites that are available, but we recommend using a capped PVC product in most circumstances. The technology behind WPC has gotten better since their debut, but they still require lots of care and cleaning. Most all of the synthetic manufacturers are now in a stage of tweaking their color choices to offer a wider selection for homeowners to choose from. This includes more colors that contain streaking and undulation that mimics the beauty of natural wood. The technology behind making a stronger more resilient board is also improving. Hopefully this information will quell any confusion about the differences between composite and synthetic. Our goal here at Archadeck of Columbus is to provide you with all the information you need to make the best decision when choosing the material that bests suits your needs and budget for your new outdoor structure. You can see more examples of composite and synthetic decks by visiting our decks photo gallery and our composite and PVC decks photo gallery located on our website. Author archadeckofcolumbusPosted on October 2, 2013 Categories Composite decks, Synthetic deckingTags Archadeck of Columbus, AZEK, Azek Decking, Capstock decks Columbus OH, Columbus deck builder, Columbus decks, Columbus OH AZEK decks, Columbus OH Fiberon decks, Columbus OH low maintenance decks, Columbus OH TimberTech decks, Columbus OH Trex decks, Composite deck materials comparison, Composite decks Columbus OH, decks Columbus, fiberon, fiberon decks, outdoor living, Synthetic decking, Synthetic decks Columbus OH, Timbertech, TimberTech deck builder Columbus OH, TimberTech decks Columbus, TimberTech Earthwood Evolutions, TimberTech Reliaboard, TimberTech Twin Finish, Trex Transcend decking, What is the difference between composite and synthetic decking?Leave a comment on What’s the difference between composite decks and synthetic decks in Columbus? Archadeck of Columbus explores the world of synthetic decking products, from the original composite to the newer capstock decking. Synthetics are for more than just decks. 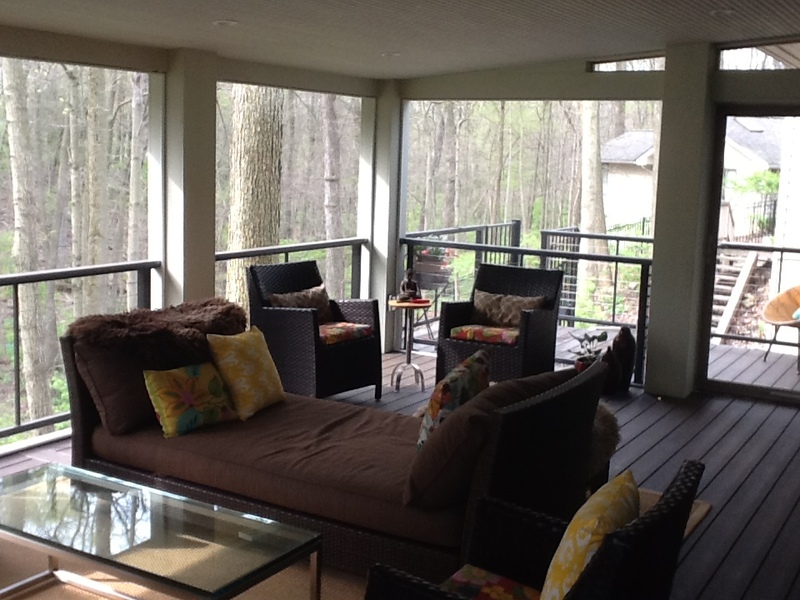 This screened porch in Upper Arlington was built using a gorgeous TimberTech floor. The term composite is used to describe a broad spectrum of low maintenance materials. Because of the new introductions to the market, there are other low maintenance products that are actually not composite materials. Many people are familiar with composites or the idea of composites and that has become the Coca-Cola of the low maintenance materials. Because of the new and improved low maintenance materials, we now call this category synthetic decking and composites are just one of the materials in this synthetic category. 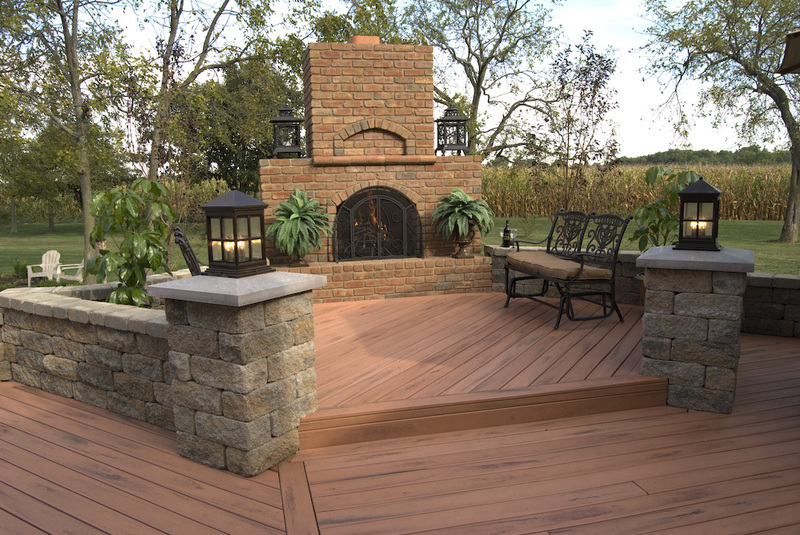 This TimberTech deck and outdoor fireplace by Archadeck of Columbus is the perfect spot for entertaining this spring. Composites are a mix of materials including wood fiber and plastic. Product lines such as the TimberTech Twin Finish, and Trex Accents are good examples of traditional wood/plastic composites. Traditional composite has now become the value oriented decking board because of the new products that have joined the category. Wood particles are still part of the makeup of the product which makes it porous. If you spill coffee, wine, or grease on the deck you will want to clean it up quickly just as you would inside your home. Other environmental factors such as bird droppings can lead to staining if now cleaned properly. We expect that in the next 5-6 years these composite products will fall by the wayside, they will still remain available but will probably not experience any dramatic growth in the popularity of these products with the other newcomers that are making their way into the spotlight. Pure PVC products came onto the scene about 5-6 years ago. Lines such as AZEK, and TimberTech’s XLM, and Fiberon are great examples of pure PVC decking materials. They consist of PVC foam and a hard PVC cap that is non-porous. They are non-porous and accordingly will not stain permanently however when they become soiled, they will need to be cleaned with soap and water. Just because it’s low maintenance doesn’t mean it’s self cleaning. PVC comes in a host of colors and new color introductions are made onto the market almost every year, so the selection is vast. You can get solid colors such as the TimberTech Natural Collection, or the TimberTech Tropical collection which has more streaking to replicate the look of real tropical hardwoods. These PVC products are oil-based so the natural colors are the least expensive, and the tropical collection forges into the higher end of the synthetic cost spectrum. The newest synthetic product came onto the scene 2-3 years ago. This is called capstock. Capstock is a third generation synthetic which is also referred to as capped PVC. This product contains a composite core which has been capped, or wrapped in PVC. TimberTech Evolutions and Trex Escapes are good examples of capstock. In the Columbus market, Fiberon is the most costly because it is not stocked locally. The TimberTech capstocks are popular in this area because they are good products and the close proximity to their national office makes them easily obtainable. TimberTech now has a capstock line called Evolutions that has a realistic look of tropical hardwoods with streaking, and color variations that mimic the real thing. TimberTech also offers a line of natural color capstock as well. The beauty of capstock is the performance and the price point. Capstock is less expensive than pure PVC and performs beautifully. See more great examples of synthetic decks by visiting our composite and PVC deck photo gallery located on our website.